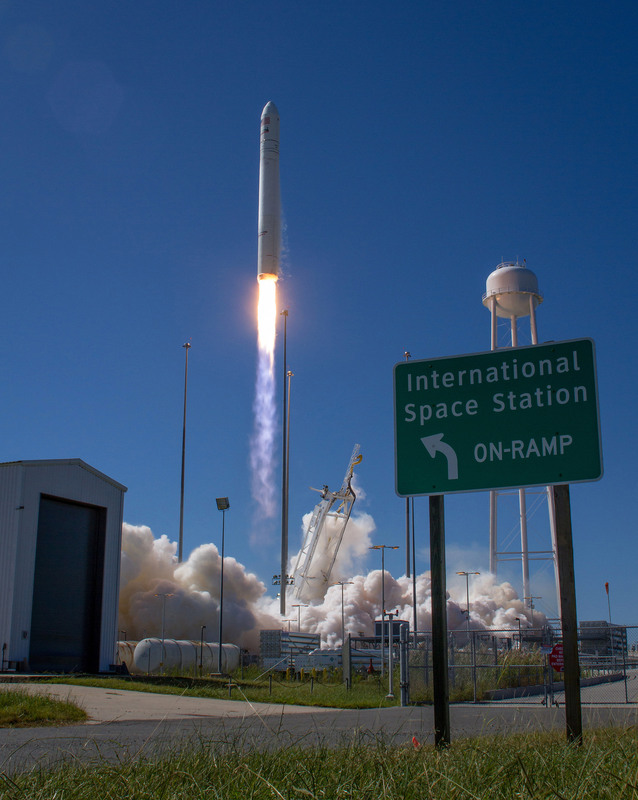 The new ‘Commercial Space Era’ received a resounding boost today when a privately developed Antares rocket lofting the first ever Cygnus commercial cargo resupply craft thundered to space from America’s newest launch pad at NASA Wallops along the Eastern Shore of Virginia. The history making launch marks the first time that a spacecraft launched from Virginia is blazing a path to the International Space Station (ISS) – thereby scoring a milestone achievement to keep the orbiting lab complex stocked up with supplies and science experiments from American soil. This is the maiden flight of Cygnus. Move over SpaceX ! 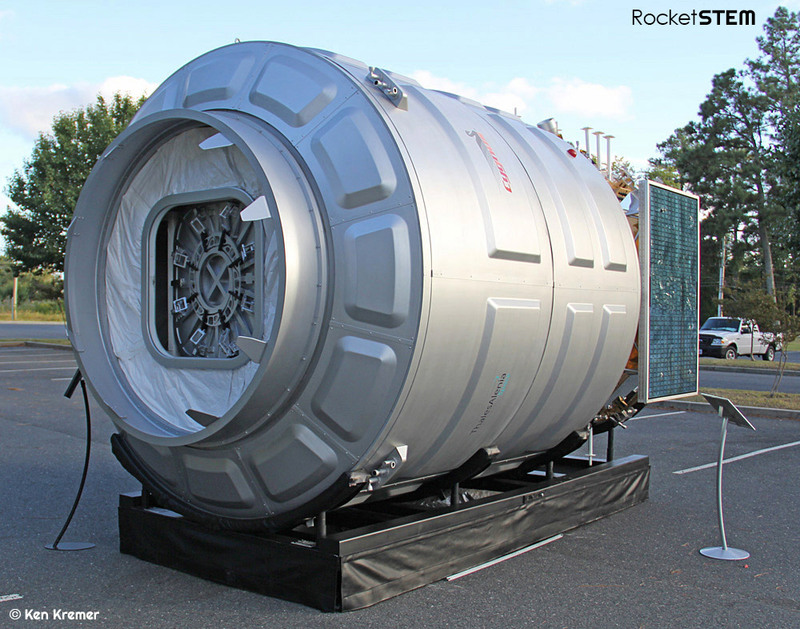 Your space competition from Orbital Sciences has arrived! It was a ‘picture perfect’ blastoff for the two stage Antares booster at 10:58 a.m. EDT this morning (Sept. 18) from the commercial Mid-Atlantic Regional Spaceport Pad-0A at NASA’s Wallops Flight Facility in Virginia. The blastoff of Antares was stunningly beautiful with intensely bright flames spewing from the rockets rear. 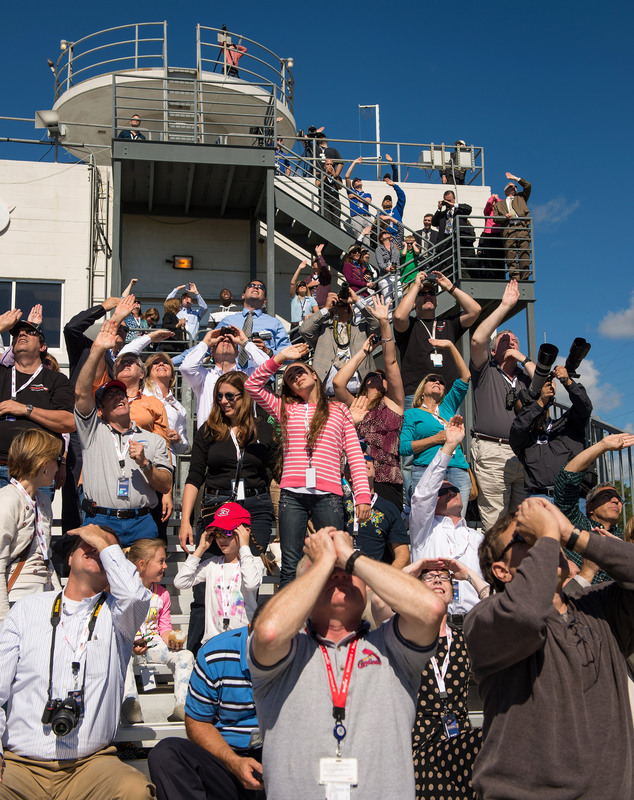 And the incredibly loud roar of the first stage engines reverberated widely and wowed hoards of spectators gathered throughout the local viewing area in Chincoteague, Va. – and woke late sleepers some folks told me later today! The rumbling thunder of Antares sounded as loud as a space shuttle. Antares and Cygnus were built by Orbital Sciences Corporation and its team of industrial partners using seed money from NASA’s COTS commercial transportation initiative aimed at fostering the development of America’s commercial space industry to deliver critical and essential supplies to the ISS. America lost 100% of its capability to send humans and cargo to the ISS when NASA’s Space Shuttles were retired in 2011. Orbital Sciences and their competitor SpaceX, were awarded NASA contracts to restore the unmanned cargo resupply capability. Thales Alenia Space in Italy designed and constructed the 17 foot ( 5 meter) long Cygnus module under contract with Orbital. “Thales Alenia has actually built 50% of the pressurized modules currently comprising the ISS,” said Luigi Quaglino, Thales Alenia Senior Vice President. “This is a historic accomplishment for commercial spaceflight with the picture perfect launch of Antares and Cygnus headed for the space station,” said Alan Lindenmoyer, NASA’s program manager for commercial crew and cargo, at a post launch briefing for reporters at NASA Wallops. In fact this was the heaviest cargo load ever delivered to the ISS by a commercial vehicle, said Frank Culbertson, former astronaut and now Orbital’s executive Vice President responsible for the Antares and Cygnus programs. A revolutionary new day has dawned in space by opening up new pathways enabling space exploration And it’s not a moment too soon given the continuing significant reductions to NASA’s budget. COTS was aimed at revolutionizing how we reach space by privatizing routine space operations that thereby allows NASA to focus more on exploration beyond low earth orbit, getting people back to the Moon and beyond to deep space destinations including Asteroids and Mars. Today’s Antares launch is the culmination of the COTS contract that NASA awarded to Orbital back in 2008. The Cygnus spacecraft is healthy and successfully unfurled its life giving solar panels starting 1.5 minutes after separation from the second stage that took place about 10 minutes after launch, said Culbertson. Antares placed Cygnus into its intended orbit of about 180 x 160 miles above the Earth, inclined at 51.6 degrees to the equator, Orbital said. Cygnus is traveling at 17,500 MPH and is on its way to rendezvous with the space station Sunday, Sept. 22. The cargo vessel will deliver about 1,300 pounds (589 kilograms) of cargo, including food, clothing, water, science experiments, spare parts and gear to the Expedition 37 crew. The flight, known as Orb-D1 is a demonstration mission to prove that Cygnus can conduct a complex series of maneuvers in space safely bringing it to the vicinity of the ISS. Mission controllers at Orbital guided Cygnus to the vicinity of the ISS on Sept. 22 during the initially planned docking attempt. But only after carrying out a series of 10 complicated maneuvering tests proving that the vehicle can safely and reliably approach the station up close would NASA and the ISS partners grant permission to dock. However as Cygnus was in the final stages of approach, a communications error forced an abort. NASA and Orbital then decided to delay the 2nd attempt about a week to Sept. 29 due to impending Sept. 25 Soyuz launch and docking with the next human crew of three US and Russian astronauts. At last the Cygnus spacecraft put on a spectacular space ballet – and was no worse for the wear spending an extra week in free space due to the easily fixed communications glitch. ISS astronauts Karen Nyberg (NASA) and Luca Parmitano (ESA) successfully grappled Cygnus with the station’s Canadian built robotic arm and berthed the capsule at an earth facing docking port on the Harmony module on Sunday, Sept 29. The pair were working at two robotics work stations from inside the Cupola and Destiny modules. They used the stations 57 foot long (19 m) Canadarm2 to snare Cygnus at a distance of about 30 feet (10 meters). They gradually motioned the arm closer and coupled Cygnus to the ISS. 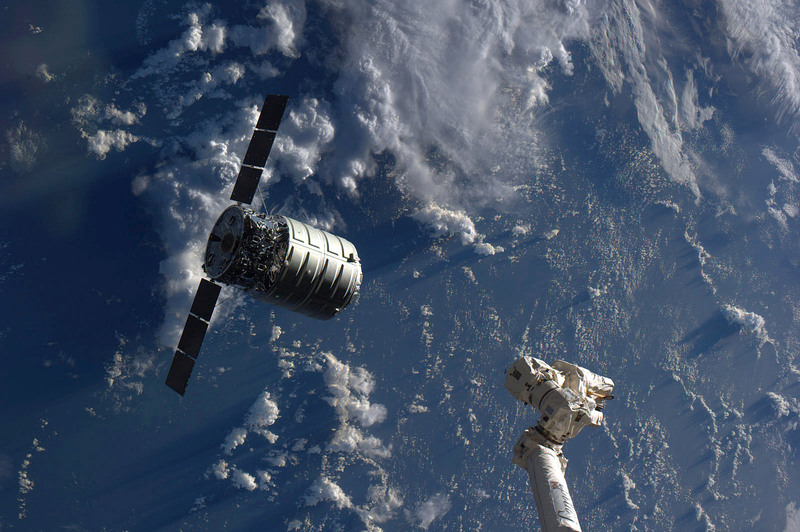 Hatches to Cygnus were opened the next day on Sept. 30 after completing leak checks. The Antares first stage is powered by dual liquid fueled AJ26 first stage rocket engines that generate a combined total thrust of some 750,000 lbs – originally built in the Soviet Union as NK-33 model engines for the Soviet era moon rocket. The upper stage features an ATK Castor 30 solid rocket motor with thrust vectoring. Antares can loft payloads weighing over 5000 kg to LEO. The 2nd stage will be upgraded starting with the 4th Antares flight. 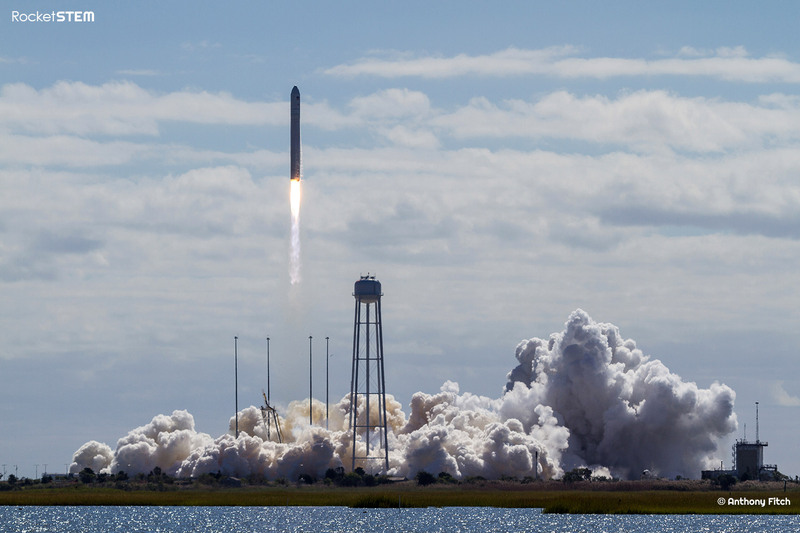 “Antares next flight is scheduled for December sometime between the 8th and 21st, said Frank Culbertson, former astronaut and now Orbital’s executive Vice President responsible for the Antares and Cygnus programs. 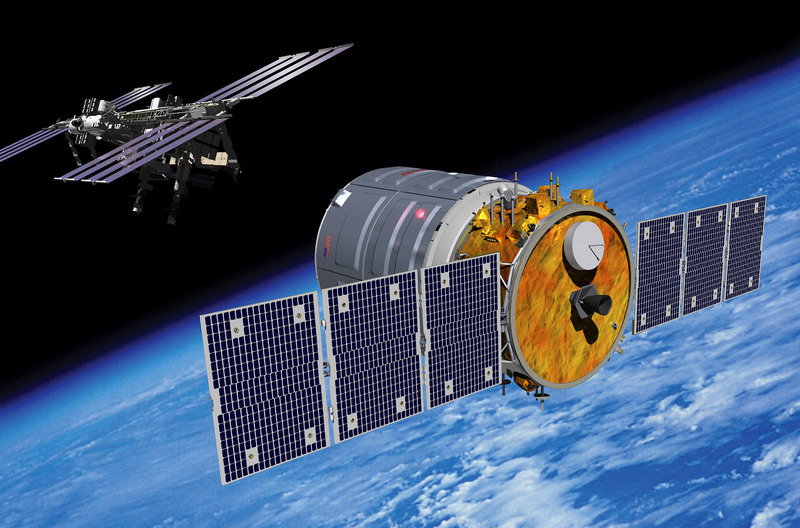 Eight operational Cygnus flights to the ISS from NASA Wallops are planned through 2016.